This STIHL KombiSystem blower attachment is ideal for outdoor cleanup tasks. Clean up walkways, driveways and other outdoor areas with the BG-KM blower attachment for the STIHL KombiMotor. 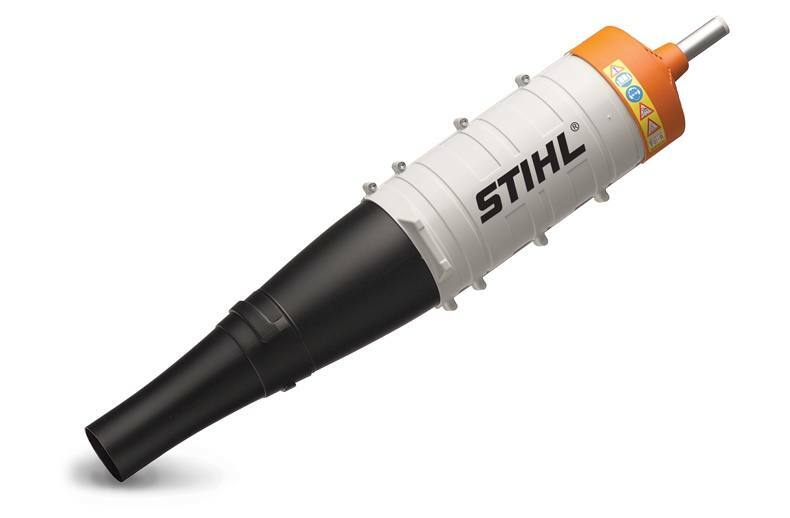 Part of the STIHL KombiSystem series of attachments, this lightweight multi-stage axial blower delivers the power you need for quick debris removal. Air velocity ranges from 121-157 mph depending on KombiMotor and nozzle selected. Weights and lengths shown are for attachments only.